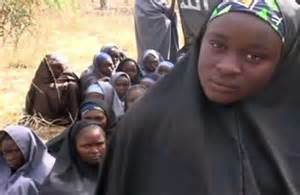 The Defence Headquarters has denied media reports that most of the chibok girls, who were kidnapped in April, 2014 from the Government Secondary School, Chibok in Borno State, have been impregnated by members of the Boko Haram sect. The Acting Director, Defence Information, Col. Rabe Abubakar, said the publication by a national newspaper (not The PUNCH) that one of the girls, who escaped from the insurgents and handed over to the military at Baga, made the claim, was misleading and spurious. He urged members of the public to discountenance the reports, describing it as false. He said while the security agencies would continue to sustain the search for the Chibok girls and others being held captive by the insurgents, they would not give credence to misleading reports with no genuine source of information. Abubakar argued that there was no moral justification for the false publication. He said, “The attention of the Defence Headquarters has been drawn to the above-captioned published in a national daily of Saturday, October 10, 2015 in which it claimed one of the Chibok girls, who escaped from terrorists’ captivity, was handed to the military post in Baga. “The spurious report by the national daily is not only misleading but is once again another unconscionable outing, as there is no iota of truth in its entirety, hence should be disregarded.